Taking up high amount of memory, CPU and disk by ‘Antimalware Service Executable’ is a problem which is experience by lots of Windows 10 users every day. Here we present some methods to fix this issue. 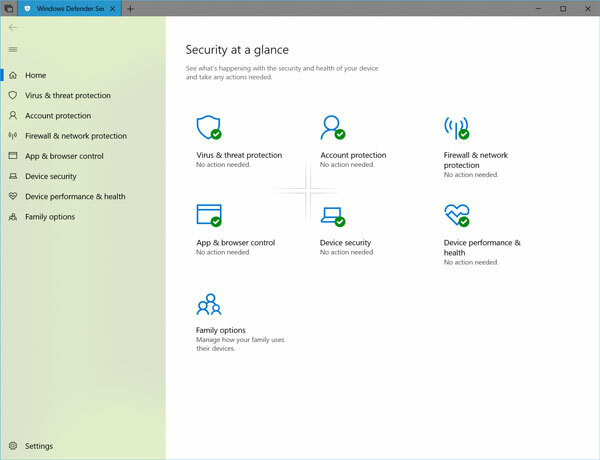 Windows 10 comes with an in-built antivirus software called ‘Windows Defender’. The application protects the system by running different services in the background including Antimalware Service Executable. Each time a user accesses malware or something harmful on their system, the service tries to detect it. Moreover, additional scans for the computer are done in the background in order to find more traces for any worms, viruses or malware. Because these tasks are so resource-intensive, it takes lots of memory, CPU and disk usage. This service could be viewed in the Task Manager with ‘msmpeng.exe’ file name. The issue could be especially challenging when other high memory/CPU applications – such as browsing a website with lots of graphics or videos, or even worse, playing a video game – are running on the system. In these cases, user might experience lagging when scrolling in the browser or lapeses in the video game. At times, some malicious code or malware could be running on a system without the knowledge of the user. In these situations, Windows Defender might run non-stop in order to solve the issue but doesn’t manage to succeed. That could be the reason for high CPU usage by this application causing overall poor computer performance. But there’s no reason to worry as long as an effective and powerful antimalware software such as Malwarebytes is installed on the system. Just perform a full system scan and let the program do the rest. If it finds some harmful or malicious program secretly running on the system, the user would be informed about it and could take the required action. Some users find it simpler just to change the scan scheduling options of Windows Defender in order to get rid of the error. Step 1 – Access the system ‘Run’ box by simultaneously holding the key with Windows log on it and the R key. Step 2 – Enter ‘taskschd.msc’ in the box. Step 3 – When the ‘Task Scheduler’ is launched, select ‘Windows Defender’ from this path: Task Scheduler Library>Microsoft>Windows. Step 4 – After ‘scheduled scan’ item is double-clicked, a windows with several tab appears. Step 5 – In the ‘General’ tab, the item which reads: ‘Run with highest privileges’ should be unchecked. The same goes for all the options in the ‘Conditions’ tab. Step 6 – At the end, click ‘OK’ button at the bottom of window. Although removing the program altogether isn’t without risks (such as vulnerability to malware and cyberattacks if no other protection exists on the system) it might be the right choice for some users if the problem insists. Step 1 – Access the ‘Run’ dialog box with Windows Key + R.
Step 2 – Run the ‘Registry Editor’ with entering ‘regedit’ in the field. Step 3 – Try to access ‘HKEY_LOCAL_MACHINE\SOFTWARE\Policies\Microsoft\Windows Defender’ through the navigation panel on the opened window. Step 4 – The value data for this registry should be changed to 1: ‘DisableAntiSpyware’. 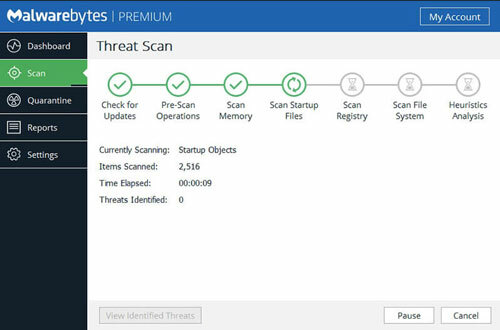 To make use of a reliable antimalware software, users could benefit special features of Malwarebytes to protect their Windows 10 system against different kinds of threats. Malwarebytes could be used to help fix the high CPU/disk/memory usage issue mentioned here as well as lots of other errors and problems. The program exceeds traditional antivirus approaches by taking advantage of advanced techniques – made possible through artificial intelligence – such as behavior matching and anomaly detection in order to further remove malware from systems. Malwarebytes could be downloaded free from its official website.